If you just want a chance to stop and think, there are many places where you can go for an hour or a day to meditate in silence. 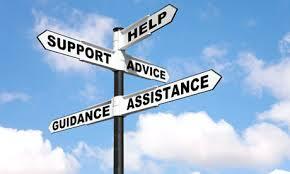 there are a number of local organisations who can offer advice and practical help. and the Stoughton and Racton Village Hall Fund, which can assist local residents in need. an ecumenical team of volunteers. Mondays & Wednesdays 2-4pm, Fridays 4-6pm. Legal Advice 0845 345 4 345 or see Solicitors below. UK helplines: Adults 0844 8477879. Under 18s 0808 8020808. These lines are available on Sundays, Mondays, Tuesdays and Thursdays between 7.30 and 10pm. arrange injunctions and provide legal support for victims. Victim Support offers emotional support and practical advice for anyone affected by crime.